So you had to trade in that beauty two-seater once the kids came, and although you wouldn’t change your life even for a second, a big part of you still misses that hair-raising growl when you turned the key forward, that adrenaline surge when you hammered the pedal on open country roads. Today you need utility, space and safety to carry your precious cooing cargo. So you opted for an SUV — still stylish, not as boring as a minivan, but still lacking that heart-pounding sensation of zero to 100 in just over four seconds. What’s a driver to do? 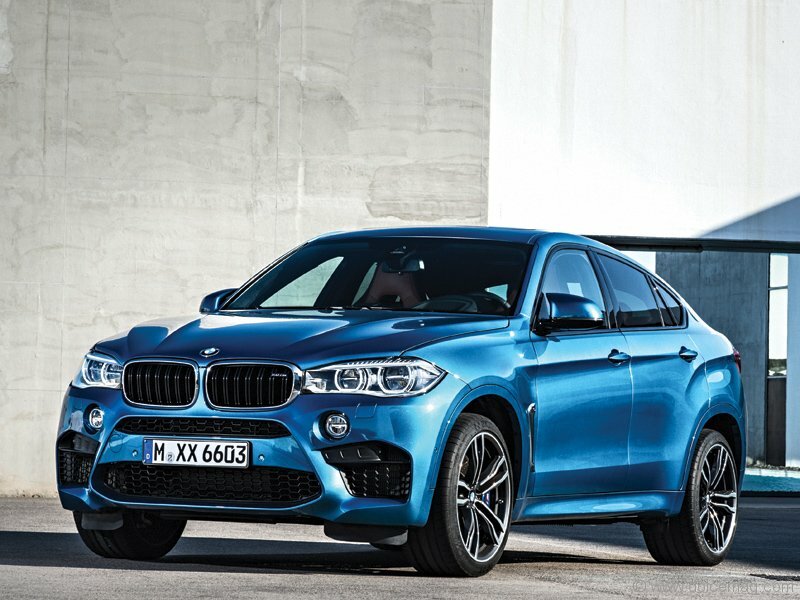 Enter the BMW X6 M. This twin-turbo, V-8 beast straddles the line between performance and practicality. With 553 lb-ft of torque and 575 horsepower, it drives like an exotic sports car but still offers the convenience of an SUV. Under the hood you’ll find BMW’s 4.4-Litre TwinPower Turbo V-8. This engine bellows a monstrous roar and the X6 M is as fast as it sounds, ripping from 0-100 km/h in just 4.2 seconds. All that power translates to an invigorating rush so strong it will make you forget about your regular morning coffee on the drive to the office. 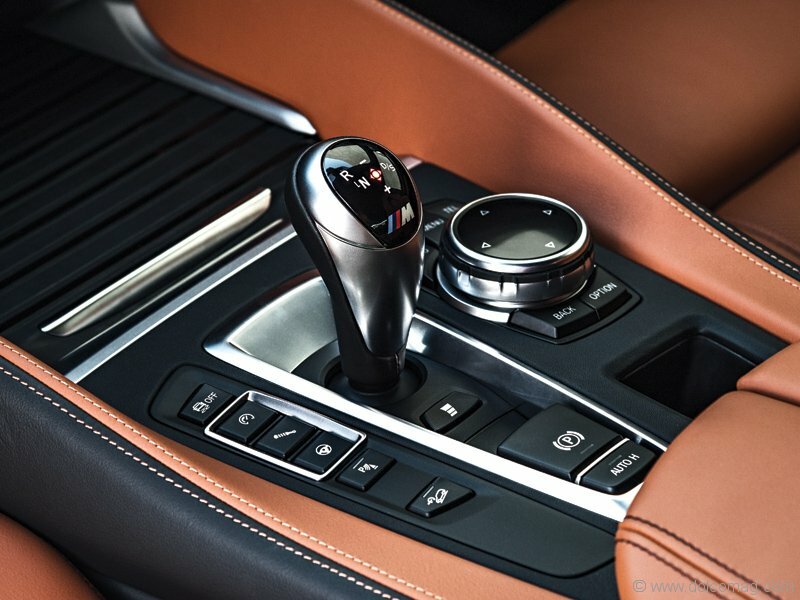 BMW added advanced technologies, such as the AWD traction, Active Roll Stabilization and Dynamic Stability Control, which offer fantastic control of the SUV when turning corners. Factor in the 360-degree surround view for manoeuvring in tight spaces, night vision running through the dashboard display and lane-change warning and you’ll feel confident cruising with the family in any condition. The interior is filled with luxury and innovation, as well. 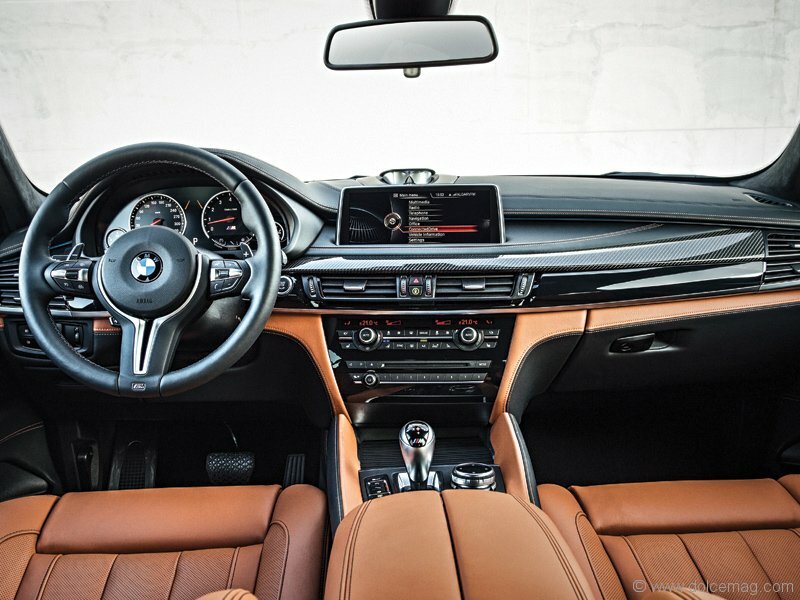 If you’re familiar with the German luxury brand, you’ve noticed the higher-quality leather seats of their other vehicles, and the X6 M follows suit. Its exclusive M multi-functional seats, made of Merino leather, reflect the comfort and dynamism of its sporty exterior. But by far the most interesting aspect of the X6’s interior is the Head-Up Display GPS system that projects navigation directions directly onto your windshield. This allows drivers to keep their eyes on the road — another welcomed safety feature. 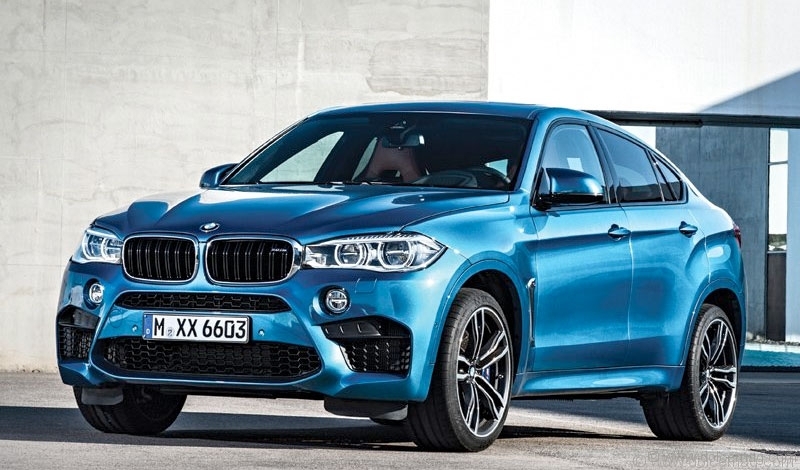 The X6 M has been compared to high-end sports cars not only for its speed and power, but also for its performance. 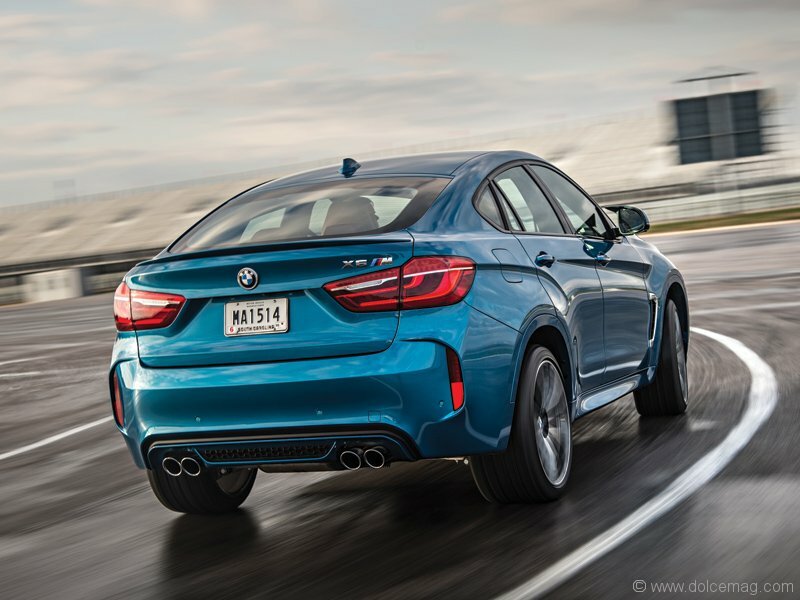 When it made its debut at the Circuit of the Americas (COTA) racetrack earlier in the year, BMW made it clear that this is no ordinary SUV. Not only were power and speed a discussion, but brakes were also a big topic of conversation. 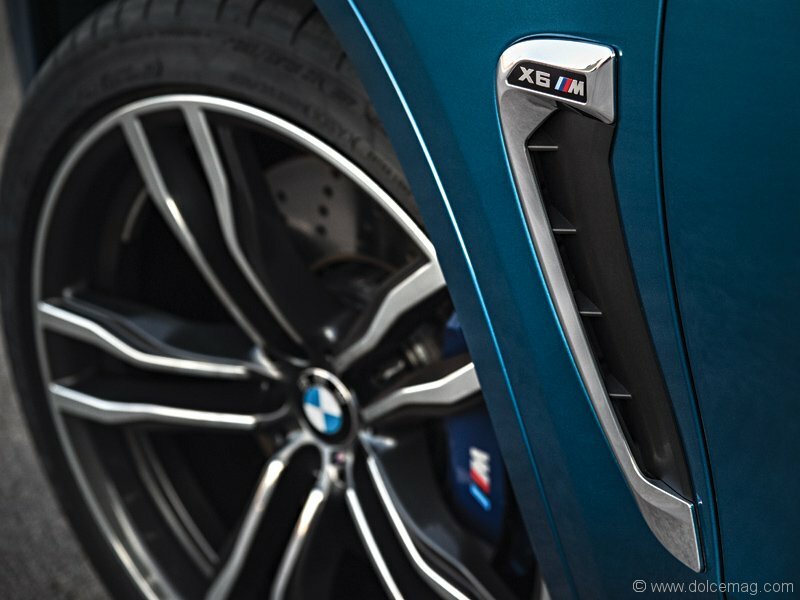 They made the game-changing decision to fit the X6 M with carbon ceramic brakes, which are often used on high-performance sports cars. The carbon-fibre compound makes the braking power more direct. These brakes are an improvement in brake-fade stabilization as well, so you won’t find them less effective after piling up the klicks. You can order the X6 M in a range of standard hues, but if you are looking to stand out on the road, opt for the M-specific Long Beach Metallic Blue paint colour. This electric shade complements the X6 M’s new feature lines and deeper grooves that enhance its intimidating persona perfectly. It’s guaranteed to turn heads in the parking lot after soccer practice. Overall, if you’re a fan of power, speed and luxury but need extra space for the little ones, the snarling X6 M should draw your attention. However, it is a larger and stronger SUV, so it is bulky and its fuel economy dwindles in comparison to its little brothers, such as the X3. Priced at just above $100,000, it definitely appeals to a specific type of consumer. But if you want a vehicle that can dance as well as it can carry the groceries, take a look at the X6 M.